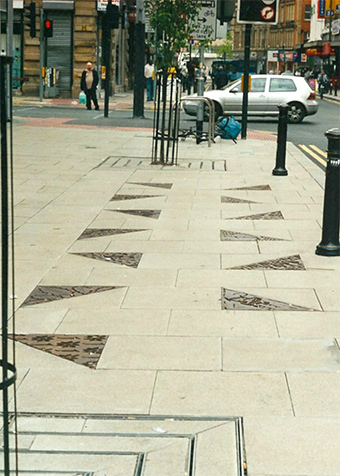 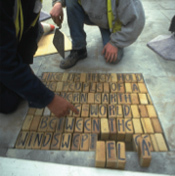 Tim Rushton's design project, 20 cast iron triangles set into the pavement on Oldham Street, Manchester. 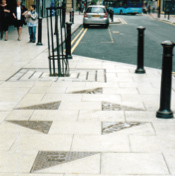 Each triangle is designed to commemorate some aspect of Manchester's rich music industry from the Twisted Wheel Club to Oasis.The images were designed by Tim after consultation with local musicians, DJs and music venues. 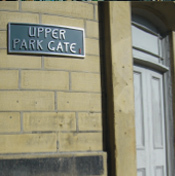 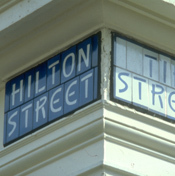 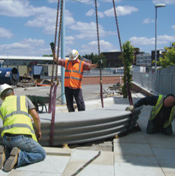 The metal casting was carried out at the Casting Development Centre in Sheffield.